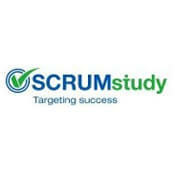 SCRUMstudy Agile Master Certification (SAMC™) course will provide professionals with a wide range of Agile knowledge, focusing on the values, methods and intricacies of Agile including adaptive planning, iterative development and delivery. Agile Masters will learn leadership methodologies for accelerating digital transformation initiatives. There is no formal prerequisite for this certification. However, SDC™ and SMC™certified professionals will be able to more easily understand the concepts required for the certification exam. To maintain the certification status, Agile Master Certified (SAMC™) professionals will need to earn 40 re-certification credits every 3 years.